Sally Hansen recently released a new line of Special Effect polishes called the Pearl Crush collection. These eight new polishes are supposed to have a "3D crushed pearl look that plays off light". They are basically all an iridescent highly shimmered base with large iridescent hex glitters. These are fairly sheer, so I layered them for this post. Sally Hansen Silver Scallop is a dark silver rainbow-y shimmer with iridescent hex glitters. This is one coat of Silver Scallop over Sally Hansen Complete Salon Manicure Calypso Blue. The shimmery base itself was easy to apply. The hex glitters, however, sunk to the bottom and were difficult to fish out. They also have a tendency to bend and not lay flat. Sally Hansen Mer-mint is described as a "sea foam green loaded with sea-inspired shimmer". 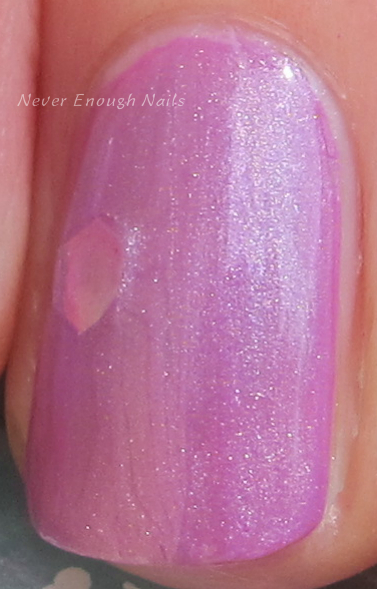 I thought the shimmer would look more green on the nails, but it was more of a silvery pink. 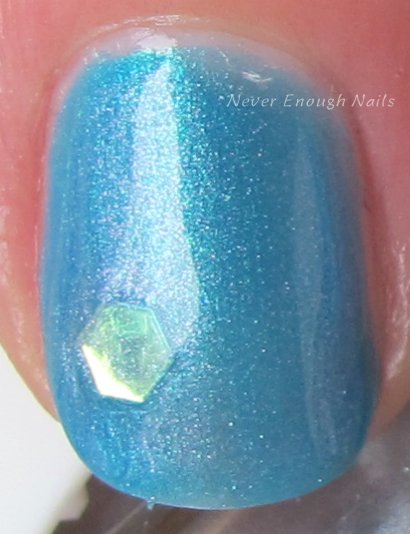 It was less iridescent than Silver Scallop, more of a one-tone shimmer. This is one coat of Mer-mint over Sally Hansen Insta Dri Lively Lilac. Again, the shimmery base itself was easy to apply. The glitters didn't really want to come out to play. I love the shimmer concept of these polishes, they make great transforming top coats over any color. However, I think I will just avoid applying the glitters next time. They don't lay flat and it's too hard to fish them out. 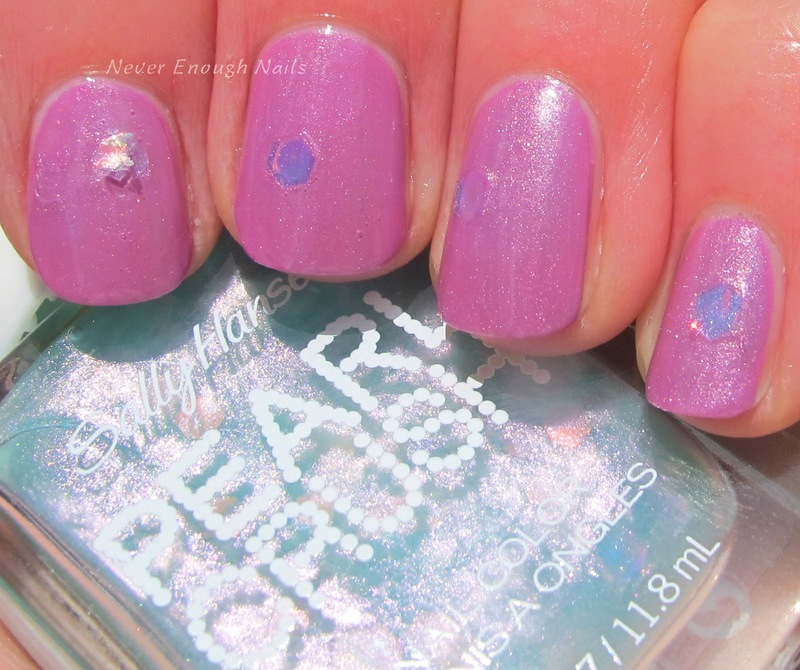 The Sally Hansen Pearl Crush collection is limited edition and available now at a drugstore near you!